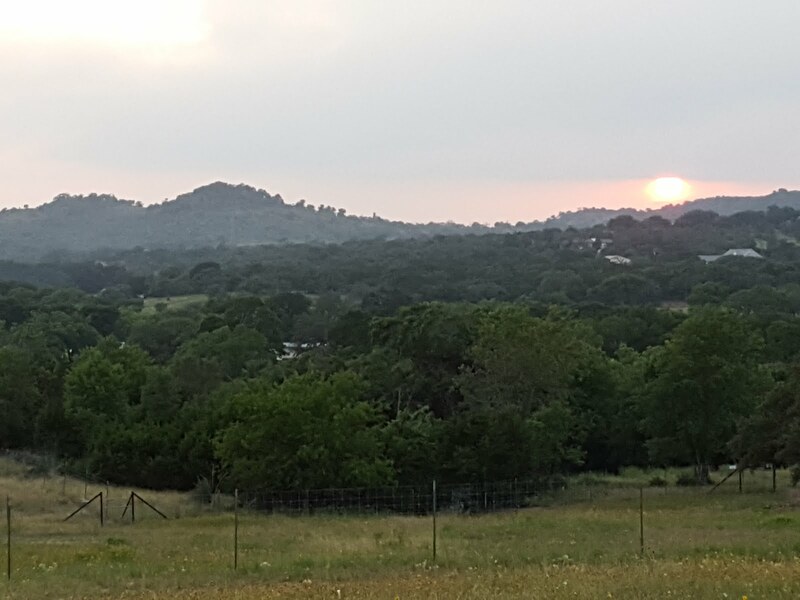 THE BEGINNING -- ZOAR FARMS was founded in December 2012, with the establishment centered in Atascosa County, just outside of Somerset, Texas, about 30 miles south of downtown San Antonio. The original 12.69 acres was modest as far as Texas farms and ranches are concerned, but it was the beginning of something which had laid dormant. After 30 years of working at one place -- and I enjoyed it tremendously -- I wanted to do something different. I was reminded by my mother that being a “Farmer/Rancher” was what I had listed in my 8th grade graduation yearbook. And so, the city man returned to the almost-forgotten dream of his childhood. With the farm making progress on the weekends, the first Barbados Blackbelly sheep were purchased from Sunny Slope Farm in Hillsboro, Missouri. After their transport, six ewes arrived later that month, and another seven ewes arrived in the spring of 2013. These 13 ewes would form the beginnings of Zoar Farms. The December 2012 arrivals had the genetics of a line called Arkansas from the Hatley Ranch, and a group centered there, tracing also other rams in the pedigree. The early 2013 arrivals were from a line named after a ram called Saint Michael whose progeny is now spread throughout the United States. But more about these incredible animals and lines later. Well, what did I know about sheep in 2012? Only what I read on the internet that previous summer, and what I was able to gather together from emailing breeders of the sheep called Barbados Blackbelly. So, why sheep, and why this breed? According to the Barbados Blackbelly Sheep Association International, or BBSAI, the Barbados Blackbelly breed came from the West Indies island of Barbados from hair sheep brought by African slave traders during the 1600's, perhaps from the area now known as the nation of Cameroon. Unlike their wool-producing European cousins, Barbados Blackbelly sheep have hair, and were no doubt, well-suited to their earlier tropical climates. In 1904, the United States Department of Agriculture (USDA), imported four ewes and a ram to Bethesda, Maryland. From that original importation, research flocks were established at North Carolina State University, Texas A&M University and the Dixon Ranch in California. In the 1970s, Dr. Lemmuel Goode of North Carolina State University imported a small number of Barbados Blackbelly sheep directly from the Island of Barbados. 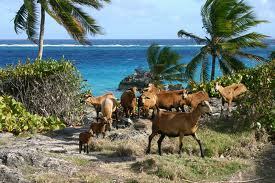 Sheep from this importation have been the foundation for pure island-type Barbados Blackbelly sheep in the United States. As of 2010, there were fewer than 600 Barbados Blackbelly sheep in the continental U.S. A large research flock is owned by Virginia State University, which imported the breed which had made its way to the U.S. Virgin Islands. The former North Carolina State University flock was sold in 1996 to a private breeder. In addition, recognizing the genetic crisis that was extinguishing the breed in the U.S., a handful of private breeders formed an informal cooperative to preserve the remaining genetics and reestablish the breed in the U.S. Because the Barbados Blackbelly is a small-framed sheep, the USDA had crossed it with Rambouillet and then European Mouflon to develop a larger meat sheep while retaining the no-shear hair coat and the breed's prolificacy, disease resistance, and parasite tolerance. This cross has been a wellspring from which many significant breeds of sheep have evolved. Perhaps none is more dramatic and popular than the American Blackbelly. Through a cooperative breeding effort, by 2007 the census had doubled. Thanks to these pioneer breeders, the Barbados Blackbelly, with their original characteristics re-established, are now listed as “recovering” on The Livestock Conservancy watch list. It was this dramatic story that drew me to learn more, and choose sheep to raise, and this breed in particular.